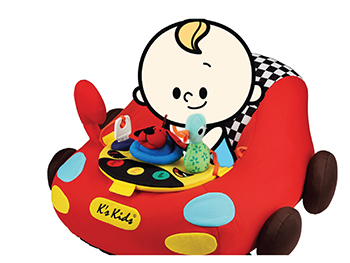 A roomy car for babies to relax, enjoy their bottles of milk and watch TV. With the electronic dashboard, it will keep the baby busy and experience the real fun of driving. 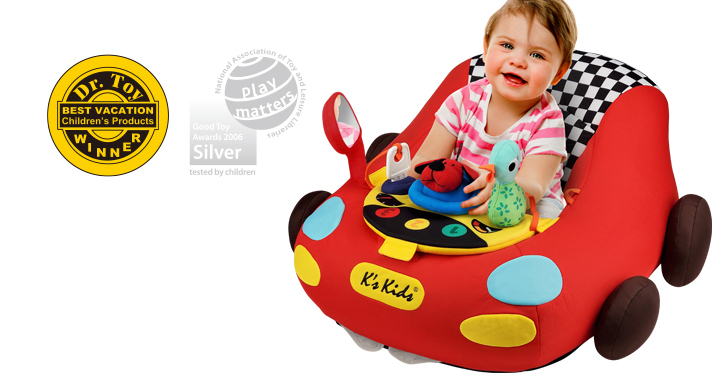 Method: Help children sit inside the car and to see the world from an upright perspective. Method: Press Patrick or turn the steering wheel to create sounds. 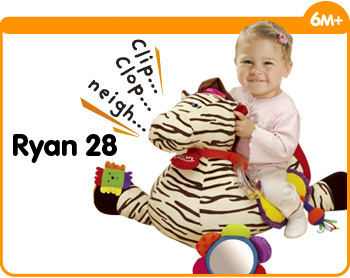 Observe your child’s reaction to the sounds. Method: Press the steering wheel and the traffic lights will blink. 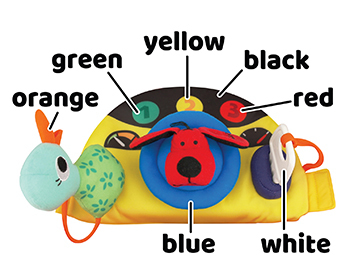 This stimulates children and prepares them to learn different colors. Method: Allow your child to observe her image and surroundings in the mirror. Method: Jumbo Go Go Go is made from different textures and materials. 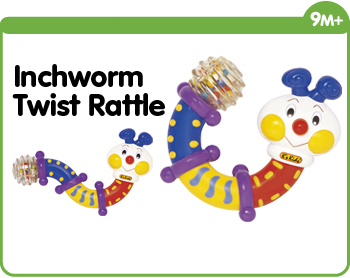 Encourage children to touch and feel the textures and to chew on the key teether. Method: Encourage children to press and turn the steering wheel. Method: Encourage children to put the key in the slot. 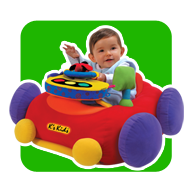 Method: After children place the car key in the slot, the car makes the sound of an engine starting and also plays music. This encourages children to repeat the action. Method: There is a bottle holder on the right side of the car. The mesh bag at the back is also good for holding a cup or bottle. Now your child can watch TV and drink from her bottle at the same time. Method: Allow children to pretend to drive by steering the wheel with both hands and pressing Patrick’s head. This also trains their gross and fine motor skills. Method: The steering wheel can be detached from the car. 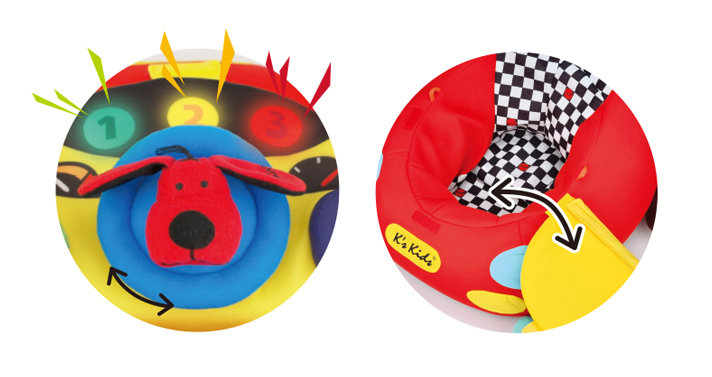 It can be tied to any baby stroller to keep your child company while traveling. Method: Teach children different car parts.